Don't miss these three amazing Lightroom 6 & CC retouching tutorials! Learn cinematic color toning, how to create your own presets and learn how to balance creativity in your images to give your wild life photos a natural look while still bringing out color and detail. In todays video blog I discuss some photo retouching software you may or may not have heard about called Darktable. Also there is rumors of a more entry level version of the Canon EOS M3 that could show its head this October. Do you find the HDR function in Adobe Lightroom lacking the tools to give your photos the look your going for? In this tutorial I will show you how to use Photomatix Pro 5 together with Lightroom 6 & CC to get amazing results. About This Photo: This photo is a combination of three bracketed photos taken on my Canon 70D and EF-S 10-22mm lens. This truck or what used to be a truck was left on a back street here in town. It appears to been used for spare parts for many years. The old rust look makes a great looking HDR photo. Wan’t to get started with photography? Check out the links below to one of my Amazon wish list with everything you need to get started. While your at it, don't forget to pick up Adobe Lightroom & Photomatix Pro 5. Purchasing through my provided amazon affiliate links below is a great way to help support my channel. Canon's speedlite product line is known for their build quality and reliable performance. The 430EX II does not let down. In this product review I go over a few specifications and main features that many will love. Plus I cover build quality and most importantly who may & may not want this speedlite. Are you a Canon user and looking to get into the exciting world of HDR photography? Well first things first, you need to know how to setup your cameras Automatic Exposure Bracketing. In this tutorial I will show you how to setup AEB, plus give you my tips on how to take the best exposures. Wan’t to get started with photography? Check out the link below to one of my Amazon wish list with everything you need to get started. Purchasing through my provided amazon affiliate link below is also a great way to support my channel. So Rokinon / Samyang just announced two new lenses, four if you count their cine lenses. A 21mm f/1.4 and 50mm f/1.2 for mirror-less cameras including the Canon EOS M. So what are my thoughts and possible concerns on these new lenses? Long exposure photography can be a fun and creative way change the way your photos look and feel. In this Lightroom 6 & CC retouching tutorial I show you how I retouch this high-key long exposure I took on the beach. This photo was taken on the beach here where I live. The stick platforms you see in the background are made of bamboo and the locals put them there to sit on and fish sardines and other fish in the water. I took this photo on a very gloomy day and I had intended on getting a long 30sec exposure as the sun started to set, instead I was only able to get a 8sec exposure because it started raining. That happens sometimes. Which is why to get the 8sec exposure it required me to use an aperture of f/29 and a 3 stop ND filter, in addition my CPL which got me one more additional stop of light reduction. Easy to use and affordable. The Neewer Ring48 Macro Photography LED Light is a continuous light for use on Digital SLR cameras and allows for up close shots with brilliant flat lighting. In this product review I also have photo samples and images of the item in use. Big hello to all my viewers and blog followers. Thursdays Photo Tips & Techniques video will be canceled. I really hated to do this and I will be straight up honest. I simply have one really really bad migraine headache tonight and while I have been gathering information for that video. I simply can not get in front of the camera and look cheerful if I feel like someone parked a tank on my head. So hope everyone understands and rest assure when I head pain eases up I will be working on Saturdays Gear Review video and hope to see everyone then. I wanted to share a few new changes I have made to the youtube channel in addition talk about some of the new policies that youtube could be putting into place that I don't fully agree with. I also discuss joining the Amazon Affiliate Program and what this mean to the channel and its viewers. In this Lightroom tutorial I will show you how you can connect your DSLR camera to your computer with a tether cable. So if want your photos uploaded to Adobe Lightroom as you shoot, then this quick tutorial will show you just how to do it. A very popular kit lens, the Canon EF-S 18-55mm STM comes with many Rebel series and APS-C camera from Canon. But is it any good and is it worth upgrading to for users with older non-STM 18-55mm lenses. In this review we cover everything from build quality to real world image test. Learn how to sync your audio and video files together in this basic Final Cut Pro X tutorial. If you have been struggling to get your audio from your external recorder combined with your video from your DSLR or camcorder. I will show you two methods on how to synchronize them in FCPX. If you have been considering getting a aftermarket camera strap, but haven't fully made up your mind on which one to get or if it is worth the investment. I just may have a few recommendations and reasons to put you one step closer to your next purchase. Are you a real estate or property photographer and don't have the money for a tilt-shift lens? Or just a person who loves to shoot architecture. In this Lightroom tutorial I will show you how to quickly fix vertical distortion and level up your photos in Adobe Lightroom without expensive gear. The Sigma 18-35mm f/1.8 Art Lens is known around the world as one of the sharpest and also the only f/1.8 zoom lens currently on the market. In this gear review I give you my experience with this lens, plus pixel peep at a few photos, plus video samples showing how this lens holds up to sun light and what one can expect when using it for video. In this Photography Tips & Techniques video I will show you how to and why you should learn to focus and then recompose your shot to get better looking photos. So if you looking to improve your photo skills, don't miss this video. Looking for a small and lightweight camera, but don't want to loose all the features commonly found on modern DSLRs? Then check out the Canon G Series line of camera like the one shown in this video. 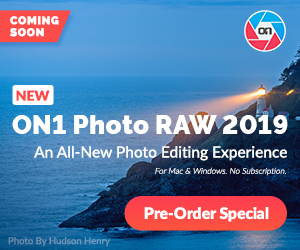 If you have been wanting to try out Adobe Lightroom 6 or CC but haven't had the time to learn new software. In this 3 part video tutorial series I will guide your from first opening up Lightroom and importing your first files, to basic retouching using the develop module and then exporting your finished photos and choosing the correct image format needed. These 3 videos combined are over a hour long and are completely free to my viewers. I really feel these videos are an essential first step for anyone getting into Adobe Lightroom. Also if you are new to my channel and would love to learn how to use Adobe Lightroom, I highly recommend watching these videos before any of my other Lightroom tutorials as these will better help you understand the tools that we will be using in those more advanced tutorials. Looking for a great guide to help you learn the ins and outs of exposure in photography? This months book is Understanding Exposure by Bryan Peterson a well known and highly respected photographer around the world.